The Yang-Mills theory of gauge fields lies at the basis of most modern theories of elementary particles and unified models of fundamental interactions (electromagnetic, weak and strong). The so-called Standard Model of leptons and quarks, characterized by certain groups of symmetries, is currently the most widely recognized theory. The Standard Model was confirmed by the discovery of the so-called intermediate vector bosons with predicted masses in 1983 (1984 Nobel Prize), and by the recent discovery of the Higgs boson (2012). Neither has its authority been questioned as a result of proving that neutrino oscillations exist (2015 Nobel Prize), although their theoretical treatment implies that neutrinos have mass, while they are massless in the Standard Model. According to gauge theory, gauge potentials are the carriers of elementary particle (lepton and quark) interactions, a well-known example being the electromagnetic field described by the Maxwell equations with a commutative group of phase gauge transformations. The electromagnetic field makes the interaction of charged particles possible. Gauge potentials are carriers of the weak and strong forces (intermediate vector bosons and gluons), and are described by the Yang-Mills equations, which are a non-linear generalization of Maxwell’s equations with a noncommutative group of gauge transformations. The gauge theory was put forward in 1954, and it was only natural that the question of including gravity into this universal system of interactions arose immediately. The first gauge model of gravity by R. Utiyama appeared as early as 1956. However, constructing a gauge gravitation theory within the framework of the Yang-Mills theory was challenged by two things. First, the generally covariant transformations of Einstein’s general theory of relativity – although being gauge – are fundamentally different from the gauge transformations in the Yang-Mills theory. Second, the Einstein gravitational field is described by Pseudo-Riemannian metric, that is in by no means similar to the electromagnetic field and other gauge potentials. Nevertheless, for a quarter of a century, up to the 1980s, the gauge gravitation theory had been developing predominantly as a gauge theory of the Poincare group, in which the tetrad gravitational field was considered as a gauge field of space-time translations. In the late 1970s the Yang-Mills gauge theory was meticulously reformulated in terms of mathematics, in which the gauge potentials are seen as connections on so-called fiber bundles, and thus it became mathematically evident that gravitation is a gauge field. Dmitri Ivanenko and Gennadi Sardanashvily, theoretical physicists from the MSU Faculty of Physics, were the first to find this solution in an article published in Physics Reports, 94, 1–43 (1983), the leading physics journal. The idea was that there were also Higgs fields, besides gauge potentials in the gauge theory with spontaneous symmetry breaking. A vivid example is the abovementioned Standard Model of fundamental interactions that includes the constant classical Higgs vacuum, elementary particles having mass due to interaction with it and the symmetry of electroweak interaction being broken. In the theory of gravitation, spontaneous space-time symmetry breaking to the Lorentz group is accounted for by the Einstein principle of equivalence, and its physical explanation is that all leptons and quarks are Dirac fermions. And the Pseudo-Riemannian metric gravitational field is the Higgs field responsible for this symmetry breaking. 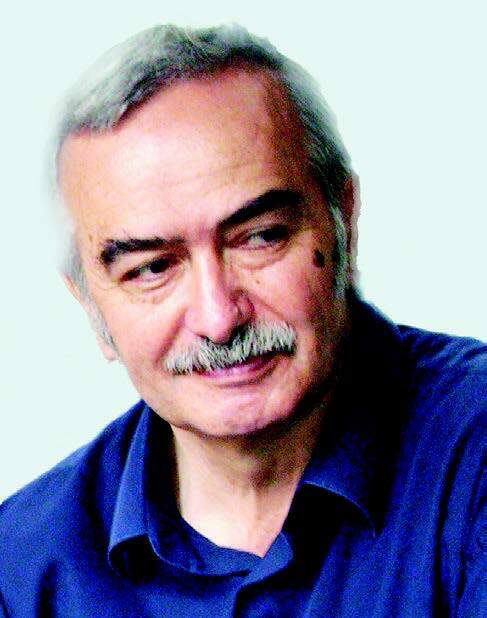 Gennadi Sardanashvily, a scientist from the Department of Theoretical Physics of the MSU Faculty of Physics, developed the theory of classical Higgs fields and spontaneous symmetry breaking, including its application to the theory of gravitation, formulating it geometrically in the classical field theory as fiber bundle formalism and jet manifolds. General covariant transformations are gauge symmetries, and both gauge potentials (general linear connections) and Pseudo- Riemannian metric are independent dynamic variables in the gauge model of gravitation generalizing Einstein’s general theory of relativity. According to this model, the Higgs nature of gravitation is shown in the Dirac spinors not being equivalent in the presence of different gravitational fields. Consequently, a particular case is the violation of the quantum principle of superposition, and hence the metric gravitational field appears to be basically classical, not quantized, being dynamic (not constant) and macroscopic, unlike the Higgs vacuum of the Standard Model..
«The gauge gravitation theory we have developed provides the prospect of unifying it with the Standard Model of fundamental interactions both as far as gauge potentials are concerned, and with respect to the Higgs fields. 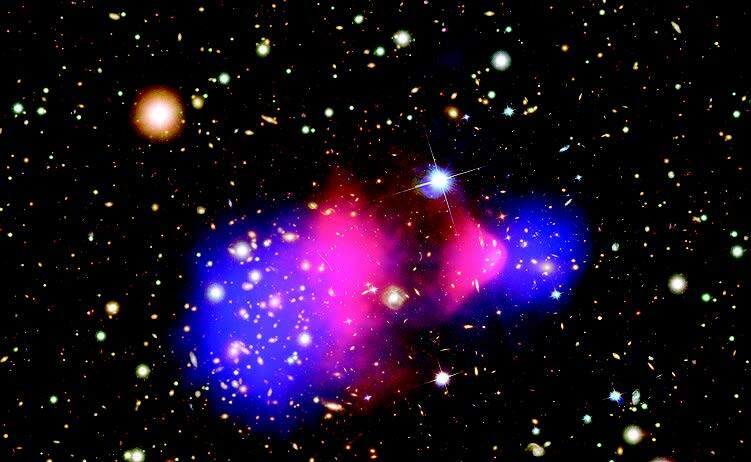 It can potentially describe such phenomena as “dark energy” and “dark matter”», – as Gennadi Sardanashvily claims. G. Sardanashvily, “Gauge gravitation theory. Gravity as a Higgs field”, International Journal of Geometric Methods in Modern Physics, 13, 1650086 (2016).